Welcome to the Glassware Gallery! In the Glassware Gallery you will find drawings and descriptions of the glassware and equipment that you might encounter in a synthetic Inorganic (or Organic) laboratory. In most cases, you'll also find special instructions or tips on how to use the equipment. Remember: Lab Safety should be your primary concern at all times. 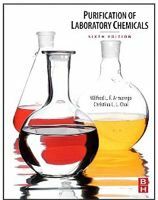 Prudent Practices in The Laboratory: Handling and Management of Chemical Hazards by National Research Council.